@ CAPACITY is a resource for event planners far and near. We understand that you coordinate events that may include vendors, venues, clients and suppliers all doing their necessary part. We can provide solutions for you, and give you options that you may not have explored. Look below to see how we can meet your needs. 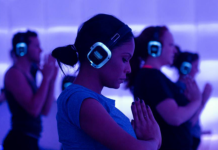 If you’re looking for something new to add to your events, it’s time to consider having a Silent Party soon. Calling all entertainment planning professionals! Add Silent Disco equipment to your list of entertainment offerings. We offer Silent Disco Equipment as a rental agreement or as a partnership endeavor. Feel free to contact us and we can figure out an event solution together. 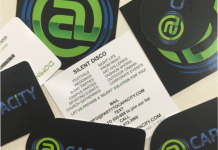 Let your clients know that you have the ability to offer them varriety by way of Silent Disco Equipment! Help us help you! How can we assist you in promoting your business offerings effective and professionally? When you partner with At Capacity we give you un-branded literature. Whether printed or digital use our flyers, brochures, and cards to show your clients that you have the ability to offer everything we offer. Without displaying At Capacity’s name and logo. Planning events? Want to spread the word about your upcoming events? At Capacity can help. We offer many services, feel free to use some of them or all of them. We have a promotional team that can get the word out, about your next upcoming event. Take advantage of our network of outlets; websites, social media, street teams to let our following know about you schedule. They love to party! 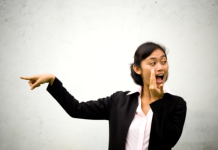 When we say we help you secure personalities, we don’t mean dealing with silly people or bad attitudes. We can help you procure celebrity personalities, Guest DJ’s, Professional athletes, movie and television stars, and pop culture icons. We have relationships with many companies and agencies that manage personalities, we can make contact and help schedule appearances. This is done at no cost when you partner with At Capacity. 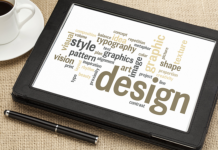 We design our own media, whether digital or print we can get the job done. Flyers, invitations, brochures, you name it. Whatever you need, we have the know-how to get it done. We can do the entire project from start to finish or just a portion. And don’t forget about our promotion service when you need your materials dispersed. Are you willing to take new clients? 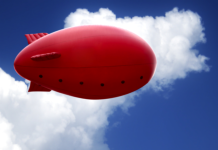 If you are in need of a new referral source, ask how we can drive traffic your way! We are a full service entertainment company, we have contacts in every aspect of the industry. That can go a long way. When customers are in need products or services that we don’t offer, we can point you in the right direction. We try to find a solution for every customer, if we can’t maybe we can refer them to you.